I sometimes ridicule media produced by National Public Radio (NPR) for being esoteric. Honestly, back when I was in school I pasted a chain email to a school club-related listserv (remember listservs?) about the federal government’s threat to shut down NPR programming. Another student posted a rebuttal. She most definitely NOT DID support NPR. A third student responded with a link to Snopes.com that advised that NPR does not receive its funding solely from the federal government. The whole exchange was stupid and it boiled down to who supported which candidate in the upcoming presidential election. I tried to impress somebody or somebodies, and my efforts didn’t work out. The whole thing embarrassed me so much that in the next few years I downplayed how much content I absorb from NPR. I actually listen to a LOT of NPR podcasts. For instance, I listen to Planet Money. In January, Planet Money released Episode 889: The Pay-What-You-Want Experiment. In this episode, host Sarah Gonzalez interviewed Panera Bread founder Ron Shaich. Shaich opened a small chain of “pay-what-you-want” eating establishments operating under the name of “Panera Cares” in 2010. Unfortunately, all of the “Panera Cares” locations eventually closed. 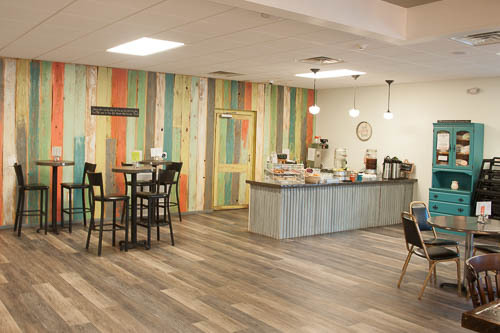 However, New Kensington, Pennsylvania has its own independent, non-profit “pay-what-you-can” restaurant: Knead Community Cafe. I ate breakfast this morning at Knead. I breakfasted there several other Saturday mornings in the past year. Knead opened in February 2017. I took all of the photos in this blog post in April 2018. To clarify, New Kensington’s Knead Community Cafe is NOT affiliated in any way with Panera Bread. 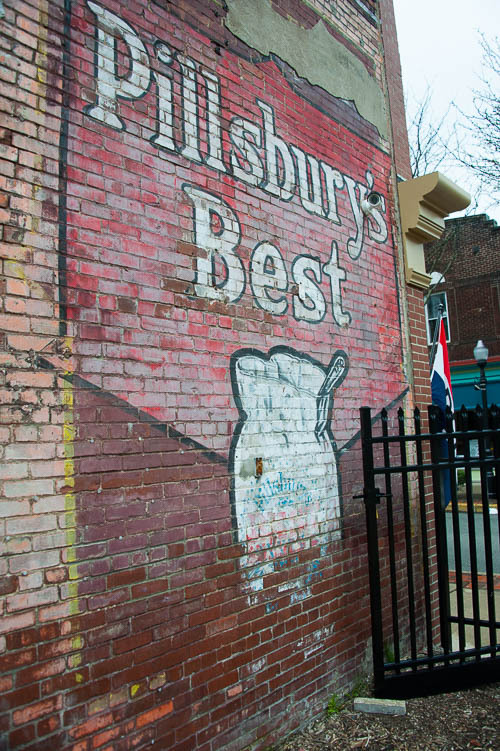 I mentioned the Planet Money episode merely to illustrate that Planet Money did a story on an innovative type of establishment similar to one that exists in my own town. The above linked Planet Money episode referred to the concept as “pay-what-you-want.” The website for Knead referred to the concept as “pay-what-you-can / pay-it-forward.” I based my below explanation on Knead’s website. If you want specific information on how the restaurant works, its hours of operation, or its menu, please visit its website and / or its Facebook page. Before each trip to Knead, I first checked Knead’s Facebook page to review that day’s menu. Note that the menu changes each day. 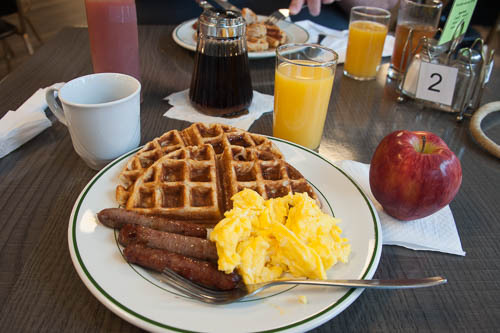 On my first trip, I had a choice of three breakfast options. We ordered our food and our choice of juice at a counter. Cafe volunteers brought our food to our assigned table. We helped ourselves to coffee, tea, and iced tea at the cafe’s beverage bar. In fact, if you chose to eat at Knead, you might work off your meal with a short photo walk around downtown New Kensington. 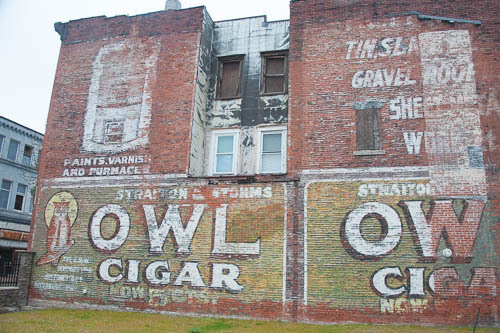 You will be able to photograph several ghost signs. Finally, parking options are very important to me when I visit a place. I am satisfied with Knead’s parking options. Visitors can park along the street for free. Visitors can also park in a large, free public parking lot directly across the street from Knead’s front entrance. My husband and I live within walking distance from Knead. When we visit, we often run into people that we know. However, we also chat at Knead with people that we never previously met. 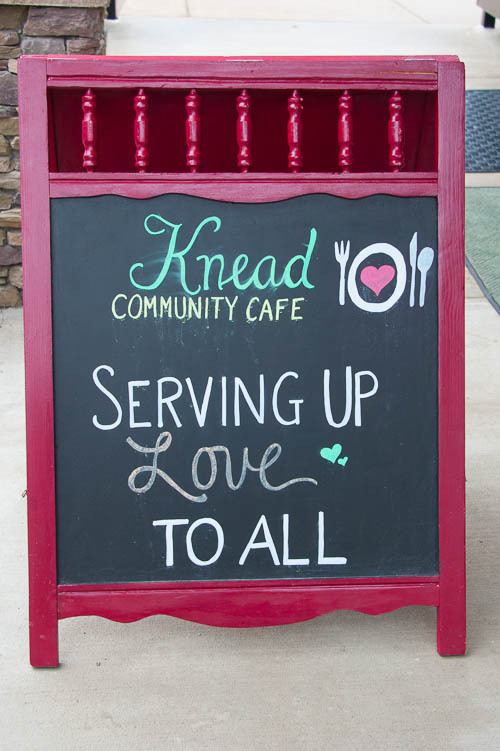 Knead provides an excellent place for the community to partake of a meal as fellow human beings. Have you ever visited a “pay-what-you-want / pay-what-you-can / pay-it-forward” restaurant? Tell me about your experience.